Date: 5.04.2018 | Lounge, Lo&Fi, Blues | Tags: Classic FM Records, Global Media, Entertainment Limited, Debbie Wiseman, Alan Titchmarsh, The Glorious Garden | Download Debbie Wiseman & Alan Titchmarsh - The Glorious Garden (2018) for free. A collection of brand new compositions inspired by poems written by renowned gardener Alan Titchmarsh. 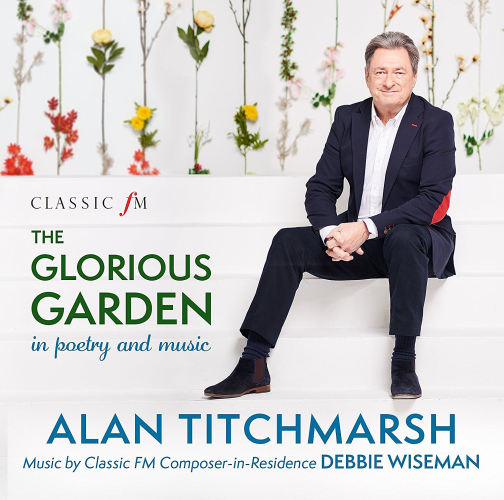 Alan Titchmarsh has teamed up with colleague and friend, Debbie Wiseman to produce the essential music for gardening. Titchmarsh - the man whose name is synonymous with the English country garden has written a collection of beautiful yet entertaining poems about his favourite plants and flowers. Each poem, personally written by Titchmarsh will not only be published in the album booklet but will also be read on the album by the man himself. Listeners will be able to enjoy the stunning music performed by the National Symphony Orchestra, alongside such charming poems. They truly go hand in hand with each other.